Since the fall of Mosul—Iraq’s second largest city—a year ago, the Islamic State in Iraq and Syria (ISIS or ISIL) has proven to be a “stronger, tougher and smarter” adversary than the United States expected, displaying the ability to recover quickly even after suffering the deaths of key leaders and sustaining heavy casualties. He said ISIS “will fill every bit of that vacuum they find” in Iraq, Syria and increasingly in North Africa. “People [such as ISIS fighters] who are determined to survive will survive,” Kappas said. He cited the example of Japanese soldiers withstanding weeks of bombing and shelling and then tenaciously fighting Marines throughout World War II in the Pacific. Ignatius said that the U.S. strategy of having the Iraqis replace Nouri al-Maliki as prime minister (with Iran’s acceptance of the change in leadership), building an international coalition to help defeat the Islamic extremists, mobilizing elements in Iraq from its security forces, and involving Sunni tribes was good in principle. “Problem is we have not unpacked that strategy,” particularly as it applies to the regional coalition and mobilizing forces in Iraq. Ignatius said President Barack Obama “needs some one person who will take the responsibility for this campaign. John Allen [retired Marine Corps general] though he was given that job . . . it was not put at the White House.” The position was placed within the State Department and competes with Central Command over who is in charge of defeating the Sunni extremists, he said. Kappas said “I’m a great believe in ambassadors” and pointed to the success of Ryan Crocker and Gen. David Petraeus in Iraq in working together to achieve common goals. Sunni “tribal groups have been bitten more than once” for assisting the United States, Kappas said. To win them over again in the fight against ISIS “is an even more difficult piece of work” now than it was eight years ago. “Distrust develops very quickly. Both agreed that whether Iraq will be able to remain a single country is at question unless the Sunnis believe they have a stake in the government. Neither speaker believes that in the coming year the United States will send in large numbers of ground forces there, but deploying forward air controllers, more logistics assistance, and additional trainers appears likely. “Train and assist is a very difficult job,” Kappas said. You “have to stay with it, stay with it and stay with it” and not leave because someone learned to fire a rifle. Kappas noted that a “CIA officer believes in engagement” at many levels even with an opportunistic Iran. That belief in engagement also applies to Syrians who possibly could convince Bashar al-Assad that his only choices are an exit from power or dying in place as Muammar Gadhafi did in Libya. Ignatius noted that Iran’s Quds force were the first to arrive to aid the Kurds when ISIS threatened Irbil, its capital, but Iran’s proxies—Shi’ite militias in Iraq—have shown “an ability to start fights” as they have in Tikrit and Anbar Province “but not finish them” in those predominantly Sunni regions. 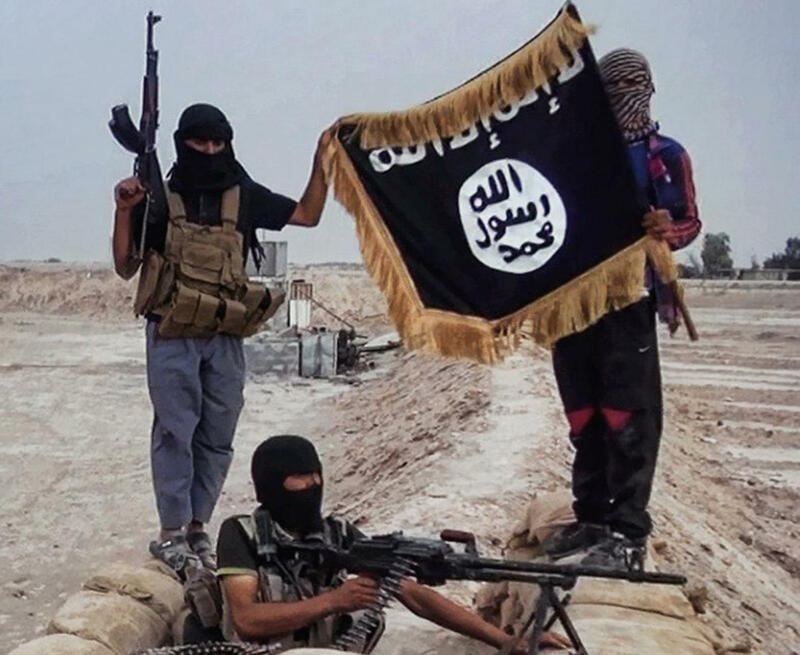 Kappas said, “The number of foreign fighters [an estimated 20,000] is unbelievable.” During the Iraq War, he put the number of foreign fighters with the al Qaeda affiliate there at a one-tenth of the estimate for ISIS. Of growing concern is what happens when they return, he said. “How do we find them?” is a question raising new concerns over privacy and civil liberties. but emphasizing the need for speed in communications between security and law enforcement. “One of the great counterterrorism tools is jobs, jobs, jobs”—here and overseas, Kappas said. Jobs could be powerful in dissuading young men, in particular, from joining extremist groups such as ISIS.